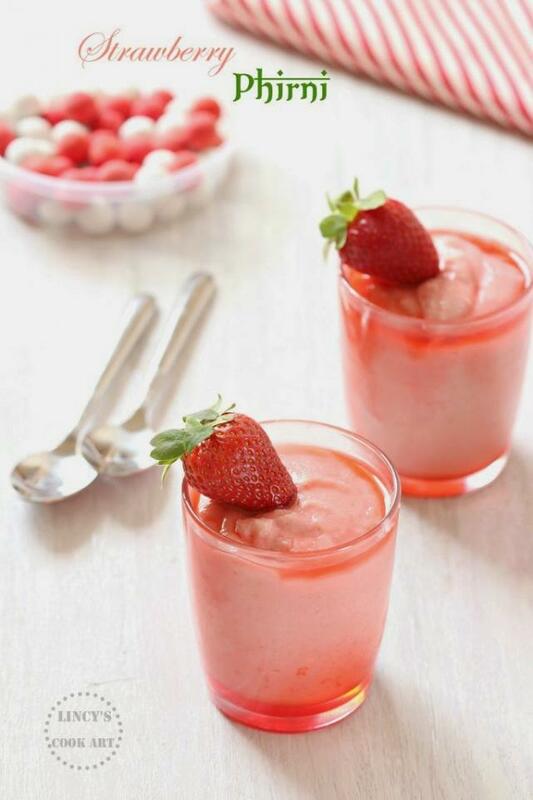 Garnish with strawberry syrup* or rose syrup and top it with fresh strawberries. Remove the stem and leaves of the strawberries and wash them. Pat dry the strawberries using a kitchen towel and roughly chop them in to pieces. 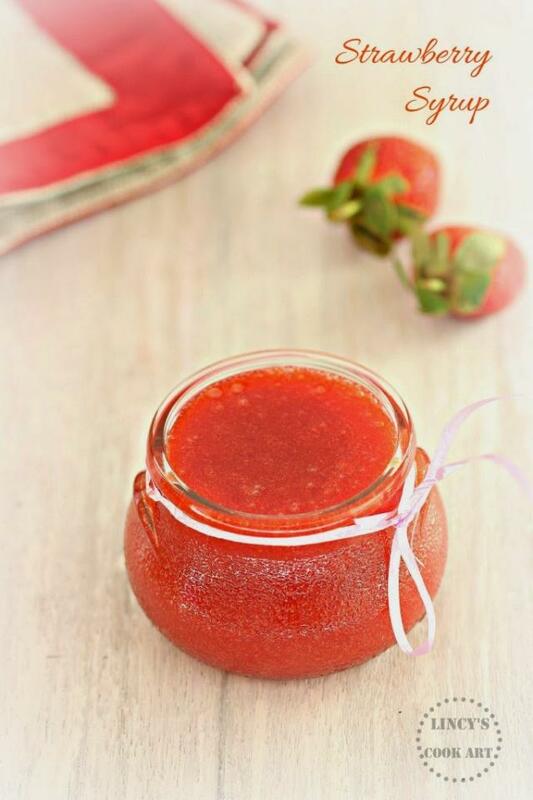 In a blender jar add the strawberry pieces and blend them as a fine paste. Strain the puree to remove the seeds from the puree by moving a spoon inside the strainer. Add the clear juice on a flat pan. On the strainer some of the strawberry pulp and some seeds settles. With this add 1/2 cup more water and blitz again twice or thrice in a blender jar. Strain this again to remove seeds and add with the juice collected earlier inside the pan. Add the sugar with the strawberry puree and boil in low flame and reduce to form a syrup. Initially when the syrup starts to boil it starts to become frothy and pale red to orange colour. Once it starts to thicken the frothiness disappear and the bright red colour appears by constant stirring. Because the syrup further thickens while cooling. If you over cook it after cooling it becomes like a jam and difficult to dissolve in beverages. Allow the syrup to cool and transfer in an airtight container and store for a week on outside cool place (or) Refrigerate and use for about a month.